Shopping for a new GMC Terrain? Skip the turbodiesel. It doesn’t tow more and its premium would take years to recoup at the pump in fuel savings. We’ll remember crossovers for how they kept our attention. The last Terrain never met a right angle it didn’t like, but the new 2019 GMC Terrain crucially forgets standard life-saving technology. 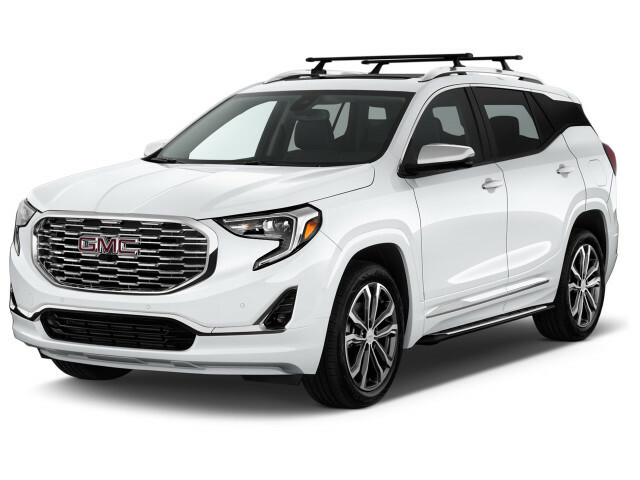 Like last year, the 2019 GMC Terrain is available in SL, SLE, SLT, and Denali trim levels that feature increasing creature comforts. Like other crossovers, GMC offers a trio of turbocharged engines are available (except in base and Denali trims) including a relatively rare optional turbodiesel. Skip the diesel, we say. Regardless of engine, the Terrain’s good looks inside and out and a standard 9-speed automatic help it distinguish the GMC from the mechanically related Chevy Equinox. Like the Equinox, the GMC gets a 1.5-liter or 2.0-liter gas-powered turbo-4, or a 1.6-liter turbodiesel. The gas engines pair to a 9-speed automatic exclusively, and the turbodiesel gets a 6-speed automatic. The bigger 2.0-liter turbo-4 has impressive power, and can tow up to 3,500 pounds, but returns fuel economy in the low-20s combined and requires premium gas. Front-wheel drive is standard, and all-wheel drive is available but has a frustrating knob to engage the part-time system. The Terrain comfortably seats four adults, with room in back for gear, but flat-bottomed rear cushions incentivize calling “shotgun” early and often. Thankfully, no Terrain is sparsely equipped. Even base versions get 17-inch wheels, a 7.0-inch touchscreen for infotainment, Bluetooth streaming, Apple CarPlay and Android Auto compatibility, and active noise cancellation. In our eyes, the smart money is on SLT versions that add leather, an 8.0-inch touchscreen, 18-inch wheels, and heated seats for a few thousand less than the Denali version that offers standard leather, 19-inch wheels, soft-touch materials, and an ornate exterior. The bad news? Even our value pick costs more than a CR-V, and still lacks standard active safety features that are becoming commonplace on many competitors now. The 2019 Terrain has been smoothed over—but not smothered—compared to prior generations. This year, GMC offers black- or chrome-trimmed editions that play down or play up the defined lines of the grille, wheels, and mirrors, depending on taste. The Terrain has a more distinctive look next to the related Equinox, according to our eyes. The Terrain borrows its sculpted tail from the Acadia and effectively scales down the look. The Terrain’s underbite and daytime running lights are tamed by a squared-off grille that keeps the broad strokes contained to the front. Along the sides, a blacked-out roof pillar at the rear follows crossover convention with a “floating” effect for the roof that, for better or worse, appears to be sticking around. The Terrain Denali gets more lashings of chrome, 19-inch wheels, and body-colored bumpers. Inside, the Terrain is a little sharper than before, with more wood and luxury appointments than its Chevy sibling. The Terrain Denali adds soft-touch material, but its contrast stitching can make it seem a little cluttered. The 2019 GMC Terrain offers a trio of turbocharged engines, but we’re only sold on two of them. A trio of turbocharged engines in the 2019 Terrain finally arrived last year and welcomed the small GMC crossover into the current decade. 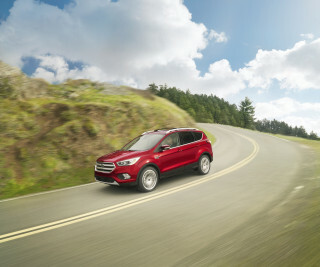 The base powertrain is a 1.5-liter turbo-4 that makes 170 horsepower and 203 pound-feet of torque. Its tall torque that arrives at low speeds is helpful around town, between stop lights, and at low speeds. It can feel a little breathless lugging the Terrain’s 3,449-pound mass at high altitudes, but for most daily detail it fits the bill. The next step up is a 2.0-liter turbo-4 that makes 252 hp and is available for about $1,300 more than the base engine. Predictably, it pulls much stronger than the base turbo-4 and earns high marks from us when it hustles through Appalachian passes. 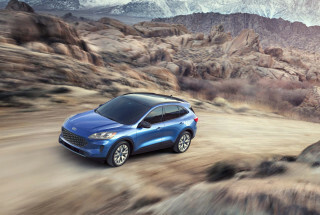 Like the base engine, the bigger turbo-4 makes most of its 260 lb-ft of torque down low in the rev range and are fun enough to challenge the higher-boost engines found in the Ford Escape and Subaru Forester. It’s even potent enough to be rated to tow up to 3,500 pounds when properly equipped. Both gasoline engines are paired exclusively to a 9-speed automatic that we like. Unlike other 9-speed automatics that we’ve recently driven, the GMC Terrain’s autobox is smooth at low speeds and willing to kick down gears to pull off mountain passes. Our lone gripe is the lack of paddle shifters to hold gears longer around corners or down steep grades. We’d prefer to use steering wheel-mounted controls rather than the overdone gear selector switches buried low in the center stack. The most expensive engine is also a head-scratcher. 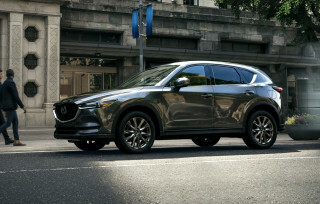 The extra-cost 1.6-liter turbodiesel makes 137 hp and 240 lb-ft of torque but is only rated to tow 1,500 pounds, far less than the 3,500-pound rating of the 2.0-liter turbo-4. The diesel engine posts much better fuel-economy scores than the gassers though, but it’s not quiet and somewhat unrefined at low speeds. Unlike the gas engine, the turbodiesel gets a 6-speed automatic and isn’t available in Denali trims. The turbodiesel’s appeal may be in long highway jaunts but to recoup the initial outlay of several thousand more than gas-powered models, that’d have to be the Terrain’s primary duty. The Terrain’s all-wheel-drive system is a part-time affair that requires drivers to rotate a knob on the console to engage it. It’s mechanically simpler and the Terrain defaults to front-wheel drive for better fuel economy, but without an automatic all-wheel-drive system the small GMC ‘ute feels positively dated. Front struts and a four-link rear suspension help the Terrain quash fussy roads, while a new electric power assist steering rack helps point the crossover in the right direction. Base Terrains are fitted with 17-inch wheels as standard equipment that offer enough sidewall for good ride comfort, but 19-inchers on Denali trims aren’t spoiled either—GMC tuned the luxury-level suspension for a composed ride, too. No Terrain offers much steering feedback, but it’s tranquil and tracks well on the interstate. Its small-car roots show in how the Terrain narrowly escapes deer and washed-out roads—ask us how we know—and also how sheer-faced ruts can shutter through the steering wheel when the big wheels smack against them. The 2019 GMC Terrain is smaller than past years, but it’s still comfortable for four adults. The new GMC Terrain is slightly smaller than previous generations, but it’s still comfortable for four adults and can haul small- to moderate-sized cargo. The Terrain’s tale of the tape tells a mixed story. It rides atop a 107.3-inch wheelbase with 182.3 inches from nose to tail. It’s 72.4 inches wide, although it doesn’t pinch interior passengers dramatically. Driver and front-seat passenger have the best positions with more leg room and hip room, 40.9 and 54.4 inches respectively. Tony Terrains are equipped with heavily bolstered, comfortable, power-adjustable seats that can slide and recline in multiple ways, but they won’t offer much support for very long legs. Rear seat passengers get nearly as much leg room (39.7 inches) as front-seat passengers, but flat bottom cushions somewhat spoil what should be good space. Older Terrains featured a sliding second row that’s now gone and an available panoramic sunroof cuts into useable space too, which makes the back seat smaller than it appears on paper. Like the Equinox that it shares a platform with, the Terrain has plenty of in-car storage bins and cubbies for passengers, including a deep center console that held bulkier items. The pushbutton transmission selector has its faults, but it does open space for small-item storage near the gear selectors and a second compartment underneath the buttons for more storage. The cargo area holds 29.6 cubic feet of gear with the second row in place, 63.3 cubic feet when the seats are folded down. We’ve noticed that the second row doesn’t fold completely flat, but the passenger’s seat can fold forward for hauling longer items such as 8-foot lumber. 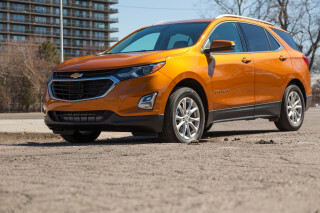 When equipped, the Terrain features soft-touch materials, active noise cancellation and sound-deadening materials that the Equinox largely skips, but the GMC still sports some of the hard plastics in the doors from the less expensive Chevy. Both GM crossovers don’t have the same space as competitors such as the Honda CR-V or Kia Sportage, but the Terrain’s luxury touches in places that are visible are welcome. Good crash scores are somewhat ruined by spend-up active safety features in the 2019 GMC Terrain. Federal and independent testers give the GMC Terrain top scores for crashworthiness but spend-up active safety spoils that stellar report card. Federal officials gave the GMC Terrain a five-star overall rating, including five stars in most subtests. 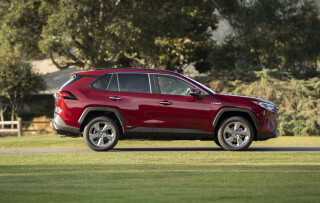 The Terrain earned a four-star score for rollover safety, which is common among SUVs. All Terrains are equipped with Bluetooth connectivity, a rearview camera, and a teen-driver feature that lets parents set limits for their children behind the wheel. Most active safety features cost extra—even at the top trim levels. Parking sensors and blind-spot monitors add more than $800 to the bottom line and are required for forward-collision warnings with automatic emergency braking, active lane control, and upgraded headlights, which cost even more. Other automakers have included automatic braking as standard on all compact crossovers—GMC should follow their lead. 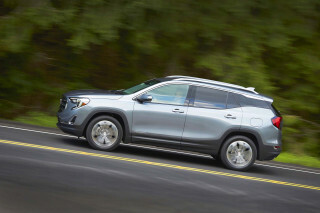 Good base features help the 2019 GMC Terrain, but spend-up trim levels and active safety sink its value. Compared to the related Chevy Equinox, the 2019 GMC Terrain is like the sibling that went into finance. Even base versions are well-appointed, but lack standard active safety hardware that’s quickly becoming routine for the class. The Terrain is available in SL, SLE, SLT, and Denali trims. The base 2019 Terrain SL is equipped with 17-inch wheels, active noise cancellation, cloth upholstery, fold-flat rear seats, Bluetooth connectivity, keyless ignition, a leather-wrapped steering wheel, two USB charge ports, and a 7.0-inch touchscreen with Apple CarPlay and Android Auto compatibility. All-wheel drive is not available on base models. From there, the SLE and SLT add increasing creature comforts, but the Denali remains top of the pile for the Terrain this year. For roughly $40,000 to start, the Denali is equipped with 19-inch wheels, leather upholstery, a power liftgate, LED headlights, parking sensors, blind-spot monitors, a heated steering wheel, navigation, and an 8.0-inch touchscreen for navigation. Even at top spec, forward-collision warnings with automatic emergency braking is a spend-up option. That’s tough to understand for a modern crossover that doubles as a family car, which means that we recommend the Terrain SLT trim. That trim level features luxury appointments such as leather seating, dual-zone climate control, 18-inch wheels, the 8.0-inch touchscreen, and heated front seats for nearly $6,000 less than the Denali version. The biggest chunk of that cost savings comes from a smaller turbo-4, which can be swapped in on SLT versions for $1,500. GMC’s infotainment system is fairly easy to use and straightforward. Apple CarPlay or Android Auto is a welcome supplement to the native infotainment layout, but both versions offer big icons with easy-to-read menus and icons. Turn-by-turn directions for smartphone navigation doesn’t display in the driver’s information cluster, however. Like other GMC vehicles, the Terrain is equipped with OnStar telematics that can alert first-responders if the vehicle has been in a crash, offer directions or even make restaurant reservations, and turn the Terrain into a rolling wi-fi hotspot (with a separate data subscription). The 2019 GMC Terrain’s high-20s mpg combined is proof of progress: smaller crossovers are getting thriftier. The 2019 GMC Terrain smartly rides the tide of turbocharged compact crossovers reaching for better fuel economy. The most miserly configuration for the 2019 Terrain is the optional 1.6-liter turbodiesel that the EPA rates at 28 mpg city, 38 highway, 32 combined when equipped with all-wheel drive (28/39/32 mpg with front-wheel drive). The turbodiesel is also the most expensive configuration. Smarter money will be with the standard 1.5-liter turbo-4 that the EPA rates at 24/28/26 mpg with all-wheel drive (26/30/28 mpg with front-wheel drive) thanks to a 9-speed automatic that keeps the engine off the boil when it can. Opting for the larger 2.0-liter turbo-4 doubles down every time at the pump; the EPA rates the AWD version lower at 21/26/23 mpg, and the engine requires pricier premium fuel. 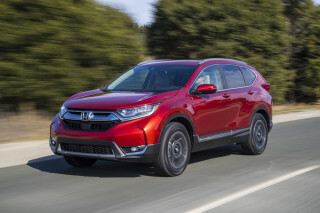 Among competitors, the gas-powered Terrain keeps pace with smaller crossovers such as the Toyota RAV4 and Ford Escape, but lags the Honda CR-V’s optional turbo-4. The Terrain’s turbodiesel fares better among others, but at nearly $4,000 more than a comparably equipped gas version it would take years to recoup that initial cost in savings at the pump.